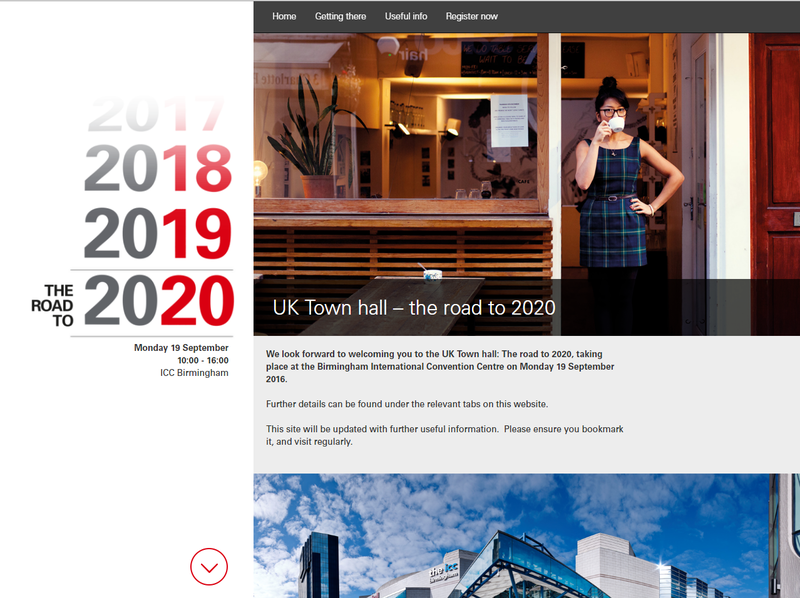 In association with Jack Morton Worldwide, Dataflow were asked to create a front-end registration website for delegates to register to attend the HSBC Road to 2020 Event. The client wanted to have the fastest possible process to determine if the Delegates were to accept or decline the invitation. Using an embedded invitation the delegate would not be required to login with usernames and passwords. If the decline button was chosen in the invitation then no further action was required. If they selected yes, then they were directed straight to the registration process without the need for further login. The design element of this website was quite complex. It included the elements of a scrolling page, tabs, animated graphics and large images. Furthermore, the website was also fully mobile responsive for guests on the go. If they accepted the invitation, they were taken to the website which had a specifically branded two page design. The first was a scrolling information page about the event. It included animated graphics and tabbing functionality for the guest to get to the different sections quicker. The second was the registration page that allowed the guests to enter in their details needed for the event. All parties were delighted with our interpretation of the design specification into a workable website for the HSBC Road to 2020 Event. The website was fit for purpose and managed the data as required.